You may not need u/w electronic flash anymore. The new EF model emits a flash of up to 4000 lumens. Super wide angle of 120 degrees, and 4000 lumens high-power. It is most suitable for movie photography. A photographers dream come true; push a button and toggle between wide, spot, and red modes all in an economical package. Perfect for compact and action cameras delivering 1000 lumens in a 100° wide beam and 600 lumens in a 30° spot beam. The FIX NEO Mini series represents the Next Generation of compact lights; auto flash-off, Spot/Wide/Red beams, and USB rechargeable. Experience the dynamic colors of underwater fluorescence! 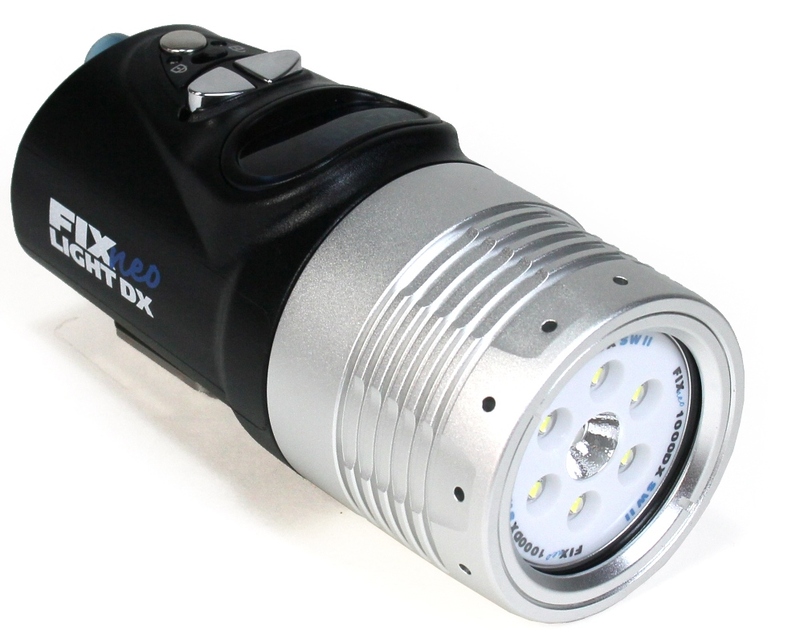 The FIX NEO Mini series represents the Next Generation of compact lights; Ultra-narrow beam, and USB rechargeable.